Solar takes second place in new electricity generating capacity | West Coast Solar, Inc. The Federal Energy Regulatory Commission has released a new report that provides details on electricity infrastructure that was added in 2013. Solar power was the number two new source of electrical power for the year, adding 2,936 megawatts (MW) of generating capacity. Leading the way was natural gas, which added 7,270 MW. As CleanTechnica.com points out, it’s important to note that the these numbers don’t include rooftop solar systems such as the California residential solar modules that West Coast Solar installs on our customers’ homes. It only includes utility scale operations, so in total solar added much more than 2,936 MW. Overall, solar represented 20 percent of all-new capacity, while renewable energy as a whole made up 37.16 percent. This was likely spurred by the federal government’s continued investment in renewable technology, as well as falling solar module prices. It’s good news for both the economy and the environment, as renewables allow the United States to be more energy independent and produce fewer carbon emissions. Other positive news from the report includes the fact that coal production as a share of all electricity generation went down, contributing 28.7 percent. The expansion of both the natural gas and coal industries slowed considerably in 2013, as they added a combined 8,813 MW, down from 14,091 in 2012. If you’ve been thinking about switching to solar power but you’re not sure it’s right for you, make sure to contact West Coast Solar today. 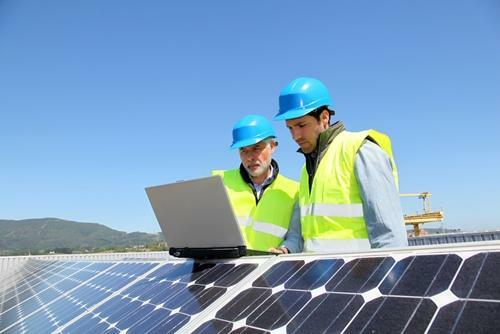 We can conduct a site analysis and go over all the rebates for solar power that you’d be eligible for. By converting to solar power you’ll be able to save thousands on your electricity bills and lower your carbon footprint!